Coastal Texas is a popular retirement location for active adults with over 370 miles of gorgeous beaches. Many people are drawn to this area for its beautiful climate, lower cost of living and desirable active adult communities. Active adult residents benefit from the fact that Texas does not tax on income, pensions or retirement benefits. 55+ residents love calling this home because of the diverse people, prime location and suitable active adult and retirement communities. Coastal Texas is made up of many cities along the Texas coast including Houston, Brownsville, Corpus Christi, Kingsville, Galveston, Victoria and many more. Houston is Texas largest city and the fourth largest city in the U.S. This area is classified as a humid subtropical climate with generally hot, humid summers and mild winters. However, due to its location along the coast this area is prone to hurricanes. Coastal Texas is rich in history and heritage and is proud of its culture. No matter where you go you are sure to be greeted with welcoming Southern hospitality. Retirees enjoy the mix of rural, urban and suburban areas. This area is great for active adults and retirees because of its prime location close to popular attractions, beaches and desirable 55+ communities. 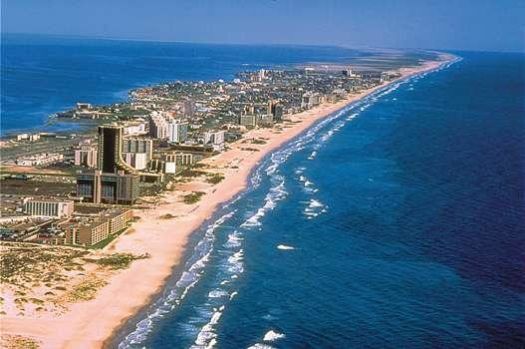 Coastal Texas is home to some of the best beaches in the United States and is also known for its fresh seafood. This ideal location next to the Gulf of Mexico provides endless outdoor recreation, perfect for active adults. Some popular activities include fishing, horseback riding, bird-watching, swimming, boating, and much more. No matter what your interests are there is sure to be something for nearly any active adult or retiree. Known for its hospitality, Coastal Texas is a popular tourist destination. Coastal Texas also has many museums, historical sites and popular attractions. Some favorites include the Houston Museum of Natural Science, Museum of Fine Arts, Constellation Field, Houston Museum District, Miller Outdoor Theatre, and Grand 1894 Opera House. The recreational opportunities in Coastal Texas are as diverse as the people. Coastal Texas has a lower cost of living than the national average and offers some of the best cities in which to retire. This area has below-average costs for groceries, utilities, transportation and healthcare. Active adults and retirees are moving to this desirable location because it has no income tax and no tax on retirement benefits. The reasonable prices, fair housing prices and strong culture influences have attracted many 55+ active adults and retirees for years. Healthcare is one of the major reasons for economic growth in Coastal Texas, predominantly in the Houston area. Active adults and retirees can rest easy knowing that they are near many top-notch medical facilities should there be a medical emergency. There are over 130 hospitals in the area including University of Texas MD Anderson Cancer Center, Memorial Hermann Hospital, St. Joseph Medical Center, John Sealy Hospital, and Methodist Sugar Land Hospital.